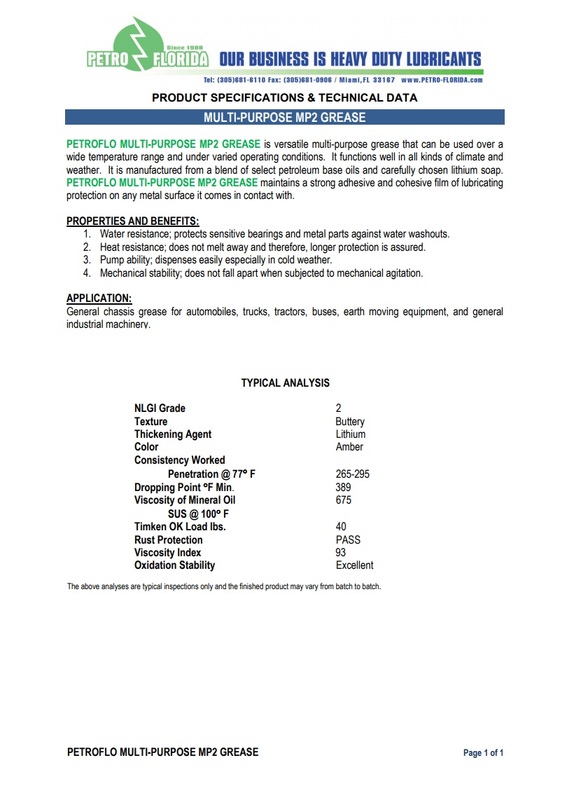 PETROFLO MULTI-PURPOSE 2 GREASE is versatile multi-purpose grease that can be used over a wide temperature range and under varied operating conditions. It functions well in all kinds of climate and weather. It is manufactured from a blend of select petroleum base oils and carefully chosen lithium soap. 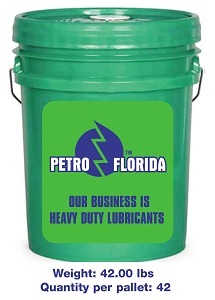 PETROFLO MULTI-PURPOSE 2 GREASE maintains a strong adhesive and cohesive film of lubricating protection on any metal surface it comes in contact with. 1. Water resistance; protects sensitive bearings and metal parts against water washouts. 2. Heat resistance; does not melt away and therefore, longer protection is assured. 3. Pump ability; dispenses easily especially in cold weather. 4. Mechanical stability; does not fall apart when subjected to mechanical agitation.